Have a jeweler solder a gold bail on this beauty, add a 22 KT gold chain and you have one of the most unique pendants that you will ever see. What an incredible conversation piece. 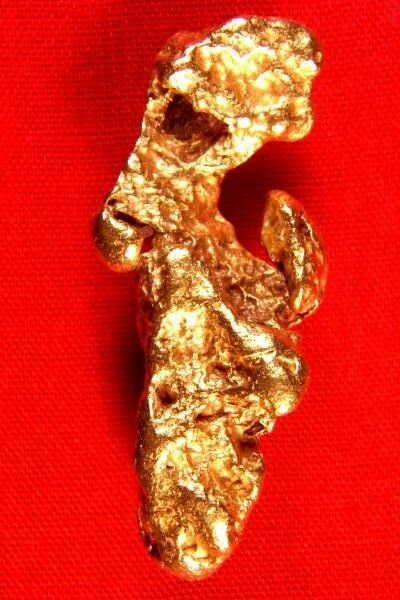 Natural Australian gold nuggets are a great way to invest in gold bullion, especially if they are super rare like this one that is in the distinct shape of Donkey from the Shrek film series. In the first photo you can see a side view of Donkey with his ears back and down. 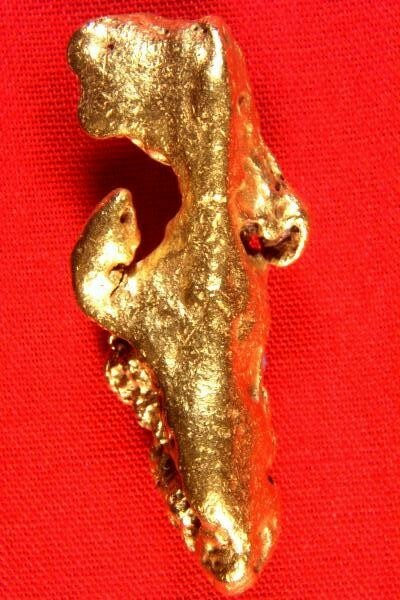 This rare Australian gold nugget weighs just under one troy ounce at 30.9 Grams. 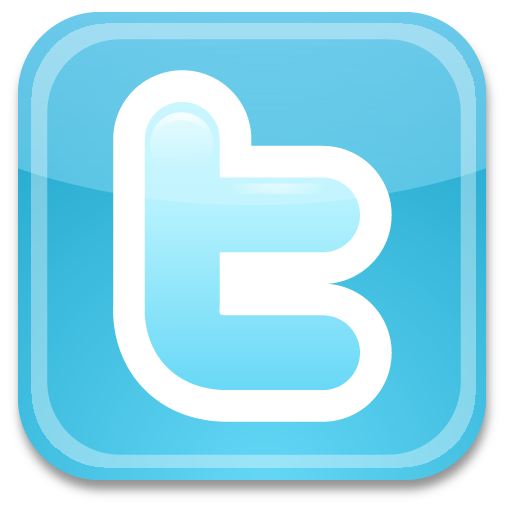 The size is 1.5" long x 5/8" wide x 1/2" thick. Jewelers and collectors love the high purity and the beautiful color of Australian gold nuggets, especially my high quality hand selected jewelry/investment grade nuggets, which usually run about 92% to 98% pure gold (22KT to 23KT). This amazing raw gold specimen comes with a certificate of authenticity.